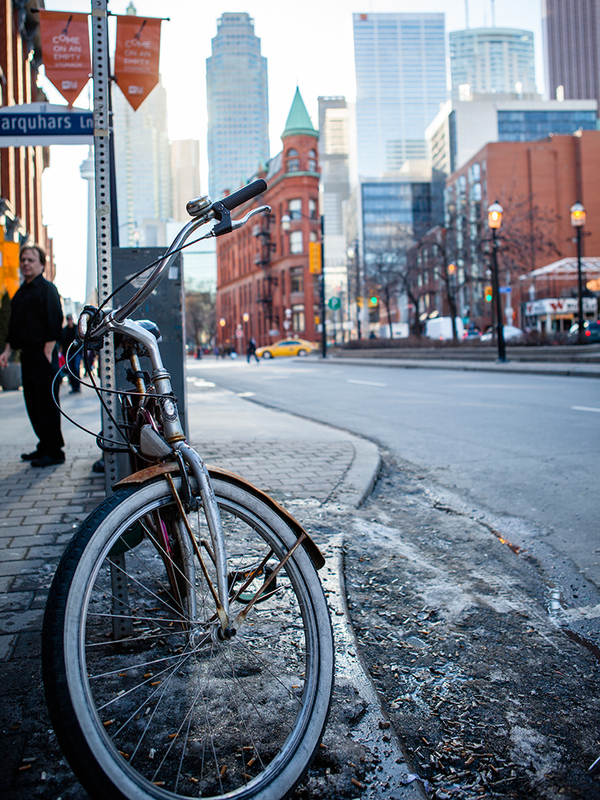 Yesterday we decided on the spur of the moment to have a Saturday adventure in Toronto. Despite it still being absolutely freezing here in Ontario. 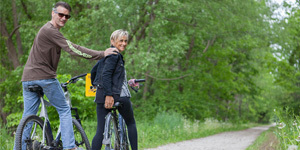 How we wished that we lived some place warm like Southern California! We’ve only been there once but would love to stay longer. It was a brisk -10C when we drove down the oh so familiar QEW hwy on route to Toronto. The action started as soon as we were off, there was a scary accident that happened right in front of us. The car in front of us lost a wheel, yes it actually came spinning off and bouncing everywhere. Fortunately we were able to swerve out of it’s path but someone else unfortunately was not. The wheel hit his hood and he went swerving all over the road, he was doing 360’s right in front of us. All cars were able to stop safely and I pulled over to make sure everyone was ok. Arriving an hour and a half later we needed some relaxation after that terrifying ordeal. 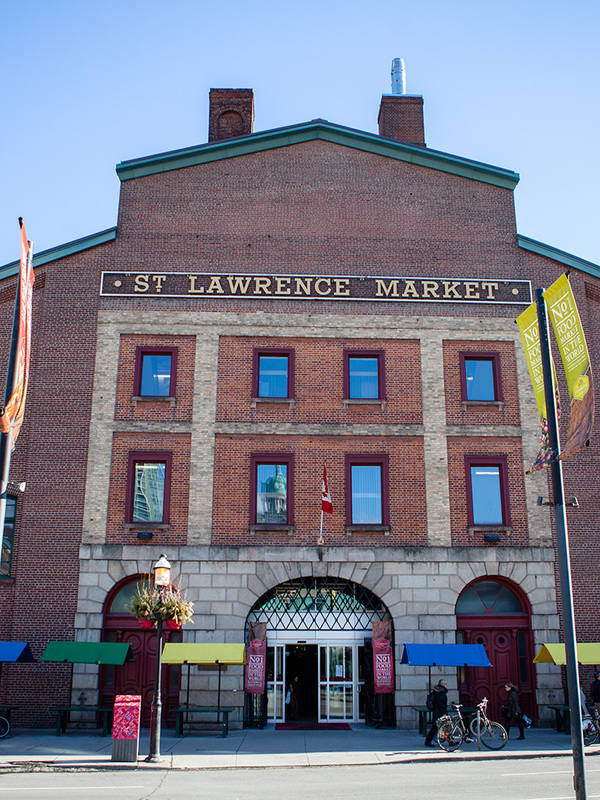 We decided to make our way to St Lawrence market which is just by our favorite (and cheap) parking spot. 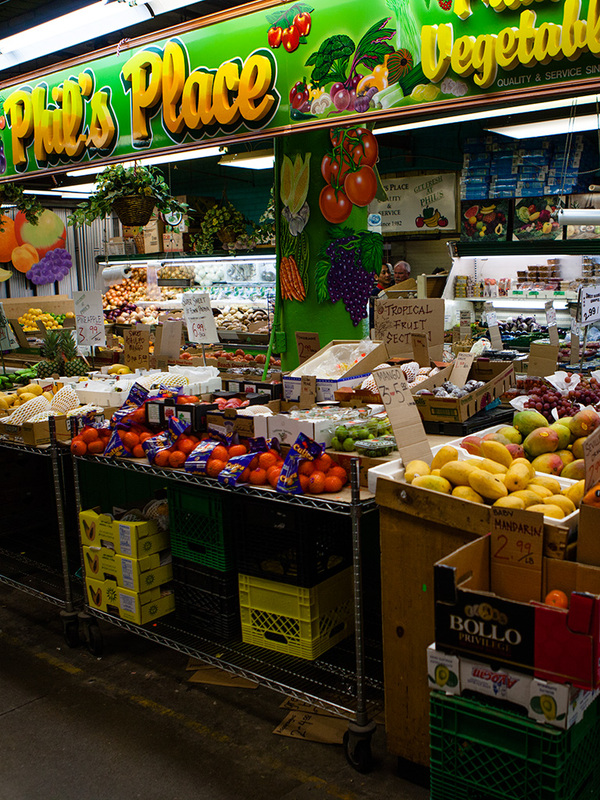 Although it’s not in season yet there’s still plenty of things to explore in the market. The main building that houses the market is a landmark of Toronto which was formally city hall and the old jail house from 1845-1899. I found my very own personal stall! It’s aptly called Phil’s place. There’s a variety of stalls selling everything from fruits, vegetables, meats, cheeses and nuts. We are going to be making a few more visits this comming spring and summer when they will have more fresh Ontario grown fruits and vegetables. Olives, olives and more olives. 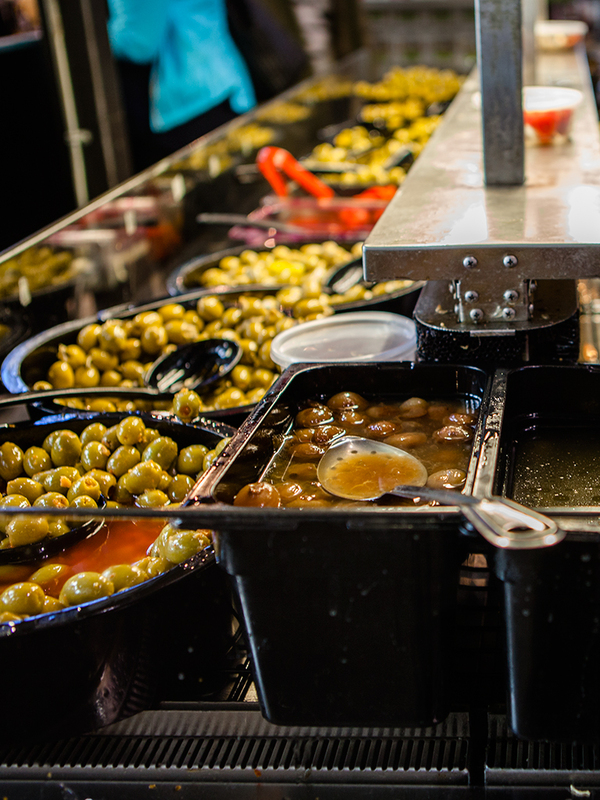 I’ve never seen so many olives in one place, which this one stall sold nothing but many varieties of them. We arrived pretty late and unfortunatly the market was closing so we decided to go have a nice relaxing quiet pint at a local pub around the corner called C’est What? Just before we went inside the pub I snapped this photo of the famous Gooderham Building which is on the edge of Toronto’s financial district. We always walk around the city when ever we visit, which we believe is the best way to see all the sights. 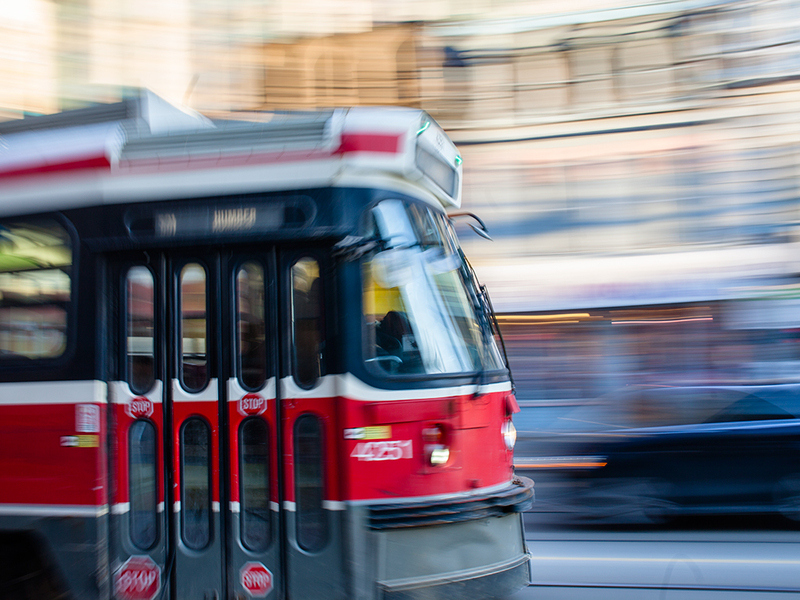 Some people use the TTC to get around, these are a familiar sight around Toronto. It was getting close to dinner so we scouted some close by vegan restaurants. Of the ones we Googled they all seemed to substitute either tofu or seitan for meat. I feel very sad as there are so many plant based vegetables and fruits that could be better served than just topping everything with tofu in replace of meat. We decided to have Indian instead, there is a great little place located on Queen St not to far from everything that does some great vegan dishes called Little India. It was packed though and we had a good 45 minute wait, but it was very well worth it. Tricia had a chana masala which is a chick pea curry with basmati rice while I opted for a very hot and spicy vindaloo curry. The main reasons that bring us to the big city is usually to see some great live music. 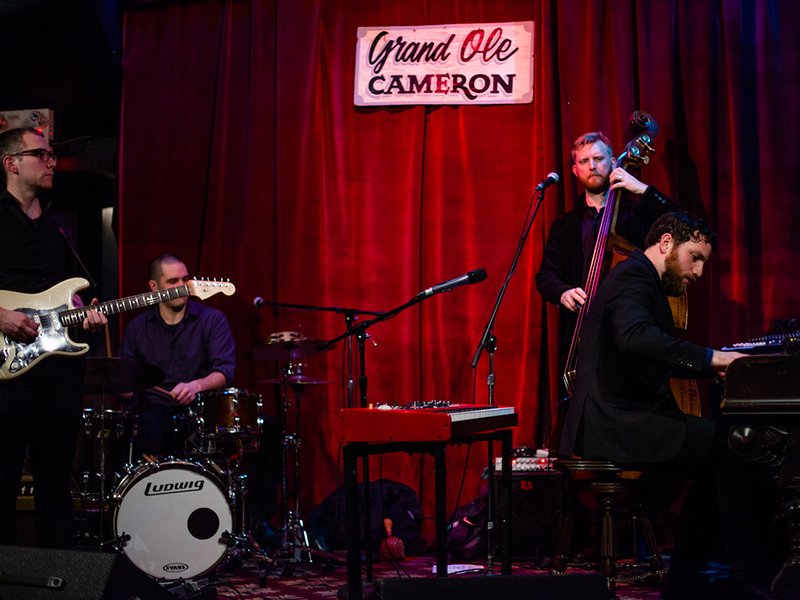 On of our favorite spots is The Cameron House. Located just east of Spadina St on Queen St West this tiny cosy bar is the perfect place to see and hear some great live music. 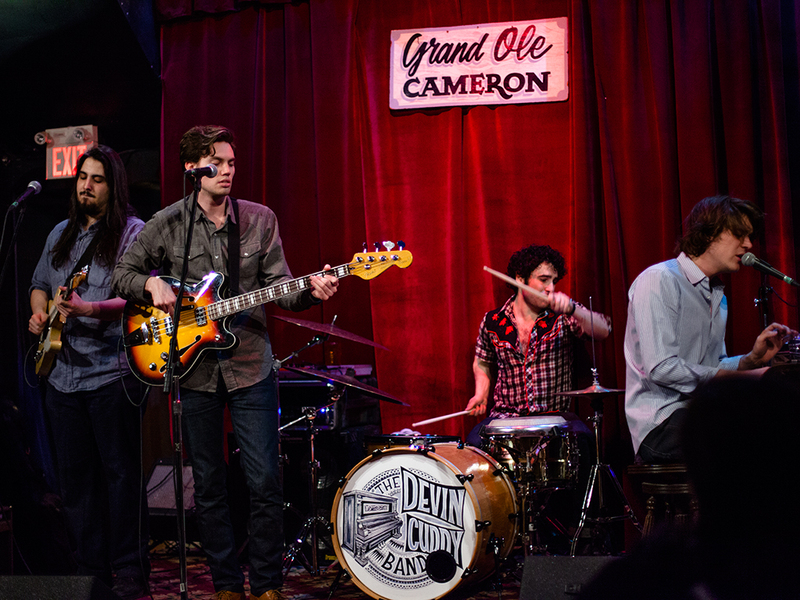 The Cameron House has a front lounge and back room and there’s always live music in both. The 8pm act we saw was Declan O’Donovan a great pianist from Whitehorse, Yukon who plays Americana, blues, folk and roots. The main act was a regular at The Cameron House Devin Cuddy. He is the son of Blue Rodeo’s Jim Cuddy a famous country rock Canadian band. He is a great singer song writer following in his fathers foot steps but with his own unique country sound.